With handle, easy to carry, more efficient. A horde of rivets function, pull a good effect that it does not waste a rivet. Can complete drilling, pulling rivets and screwing, as long as you have a drill. Hand riveters is laborious and inefficient. 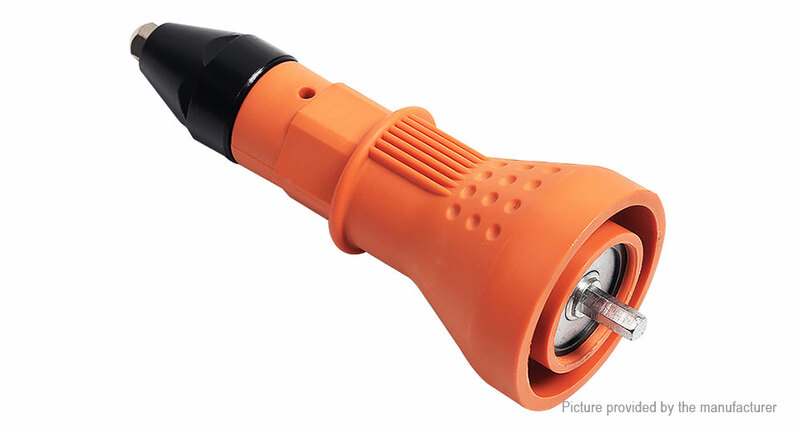 Traditional electric rivet gun is heavy, not portable, noisy and drop rivets. The internal structure is easily damaged. Hold the riveter body, drill reversed. When you hear "da da da", the screws can be inserted into the nozzle. Using the wrench to install the right size nozzle. Using the wrong size will get stuck.